Following the recent allegations of harassment and bullying by a small minority of the Irish film and television industry, as highlighted by RTÉ Prime Time last night, Screen Ireland has issued a statement that unreservedly condemned any behaviour, which constitutes the abuse of power. “Ireland has some of the most hardworking and talented film and television crew working in the international film industry. It is unacceptable that any members of the Irish film and television sector should experience bullying, harassment or intimidation within their workplace. Screen Ireland would like to thank and support those who were brave enough to step forward and tell their stories to Prime Time. We admire their courage in speaking out and we fully support their actions in doing so. We would also like to thank RTÉ Prime Time for shining a light on this behaviour within the industry and for facilitating those who have been intimidated and harassed to tell their stories. 1. 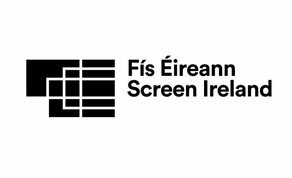 Screen Ireland has proactively supported and engaged with different departments within the film and television industry, encouraging industry practitioners to join together and form their own guilds. Our aim is to empower the industry to ensure their industry working conditions reflect best in practice standards internationally. To this end, we provided funding to the Screen Guilds of Ireland, a collective of guilds which represent each discipline within the live action production sector, which has recently been set up to support member’s rights and dignity within the workplace. 2. Last year, in response to reports of harassment in the international film and television industry, we issued a statement to the Irish industry highlighting our policy of zero tolerance for the abuse of power within the workplace. We did this with the aim of empowering industry practitioners, working within the Irish film and television sector, to speak out against any abuse of power they may experience within their own industry. 3. Through Screen Training Ireland, we have made a number of training courses available to the industry, with a particular focus on dignity in the workplace. Screen Training Ireland will continue to engage collaboratively with stakeholders to address skills gaps through the provision of a range of industry-focused skills development initiatives that support career progression within the sector​. Storytelling on screen is an essential part of Ireland’s cultural heritage and landscape. The Irish film and television industry provides huge benefits to Ireland from a cultural and economic point of view. The industry has been recognised for the extraordinary work they have achieved, winning a wide range of major international accolades and acclaim. Our aim is to build on this success. In order to do this, the creative, production and technical skills that form the foundations of the industry, need to be supported. At Screen Ireland, we place diversity, inclusion and gender equality at the heart of what we do and who we are. We remain committed to working towards ensuring that every member of the industry can work without fear of intimidation, which is crucial to building the future of the Irish film and television sector.